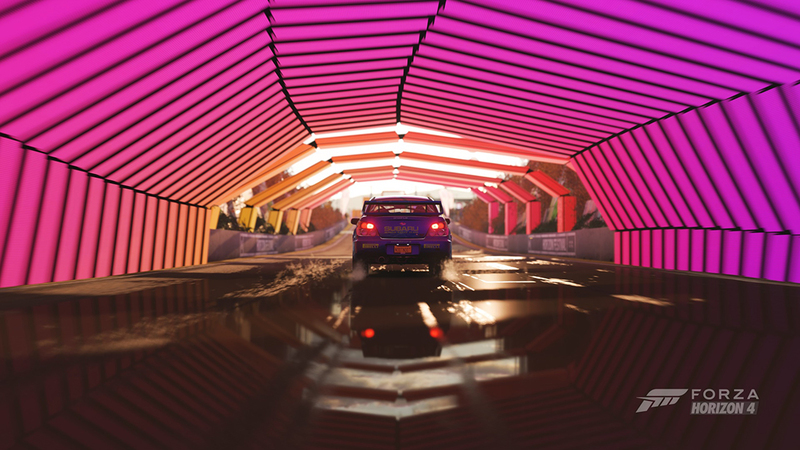 From the amazing Xbox launch of Forza Horizon 4 at the world-famous Goodwood House in Chichester, England, to the Series 2 Playoffs of the Forza Racing Championship in Mexico City, to the October edition of Forza Monthly coming to you from Seattle, this has been one of the most thrilling and exciting weeks in Forza history. Oh, and we’re also celebrating the one-year anniversary for the launch of Forza Motorsport 7 this week! There’s so much to cover in this mega-sized edition of the Week in Review, so let’s dive in and get going! If you’re a fan of cars and racing, no doubt you’ve heard of Goodwood House in the U.K. As home to the famous annual Festival of Speed and the Goodwood Revival, Goodwood isn’t just an important part of British racing h istory, it’s a vibrant part of modern automotive culture as well. Last week, Goodwood became the temporary home to an automotive festival of a different kind: the Horizon Festival. Xbox and Forza took over the estate for the week, inviting in dozens of our friends and partners, as well as influencers from across the globe, to celebrate the launch of Forza Horizon 4. Of course, the developers at Playground Games were on hand as well to show off awesome stuff like the new Route Creator feature on Inside Xbox. The Route Creator arrives on October 25 as part of the Series 2 update for the game. For a racing nerd like me, being at Goodwood was a dream come true. Like many of you, I’ve seen footage of the Festival of Speed over the years, with thousands of fans on hand and incredible cars making their way up the famous hill. It was amazing to be at this famous place; only this time without those thousands of fans milling about everywhere. The inside of Goodwood House is a site unto itself, with fabulous oil paintings of British Royalty covering the walls. At one point, not long after I saw his gilded portrait on the wall, the current Duke of Richmond (Charles Gordon-Lennox, owner of the Goodwood Estate and founder of the Goodwood Festival of Speed and the Goodwood Revival) walked in through the front doors of the home, smiling at everyone around him. Even for a Yankee like me, that moment made an impression. There was all of that and more at Goodwood and, as fun as it was, it was just the start for Forza fans. The same weekend we were launching the biggest Forza game yet into early access, the Forza Racing Championship was heading south of the border. One long flight out of London and I found myself in Mexico City and the Forza Racing Championship Series 2 playoffs. Home to more than 20 million people, Mexico City is one of the world’s largest cities and the Auditorio Blackberry was the perfect place to bring more than 30 of the world’s best Forza drivers to determine who would be the Series 2 champ. Of course, only 12 of those drivers would compete in the Series 2 finals on Sunday, which meant that Friday and Saturday saw some harsh cuts as the field was whittled down to the final dozen drivers. Standouts for Saturday included Sauber Zoom, who looked dominant in the qualifying rounds and was ready to live up to his stellar debut on the ForzaRC stage from the Series 1 Playoffs in Seattle. Noble b0x and G2 Laige also turned in strong performances, along with Veloce Racerz, who was looking like a dark horse winner coming into Saturday. Once the semi-finals rolled around, the competition took a serious step up. Four races later and we had a new Series champion in G2 Laige, albeit in controversial fashion. The fourth and final race of the day featured some controversial no-penalty calls, despite no lack of carnage on the track. In the end, Laige was triumphant, with b0x coming in second place, and Williams Mitch once again securing his second podium finish in ForzaRC Series finals. As we look ahead to the Forza Racing Championship World Finals, happening in London at the GFinity Areana on October 20 and 21, the storylines are beginning to take shape. Noble b0x and G2 Laige are two of the quickest drivers in the world and each have a Series Championship. Who will prevail? It will all be settled on the track in just over two weeks. Before that, be sure and tune in to our October 10 World Finals preview show over at watch.forzarc.com where we will be setting viewers up for all the storylines going into London. In addition, we’ll be sitting down with the GFinity marshalls to discuss the stewarding decisions made during the Series 2 finals. Look for insight into what goes into marshaling ForzaRC races, as well as a detailed breakdown of the action in the Series 2 Finals. 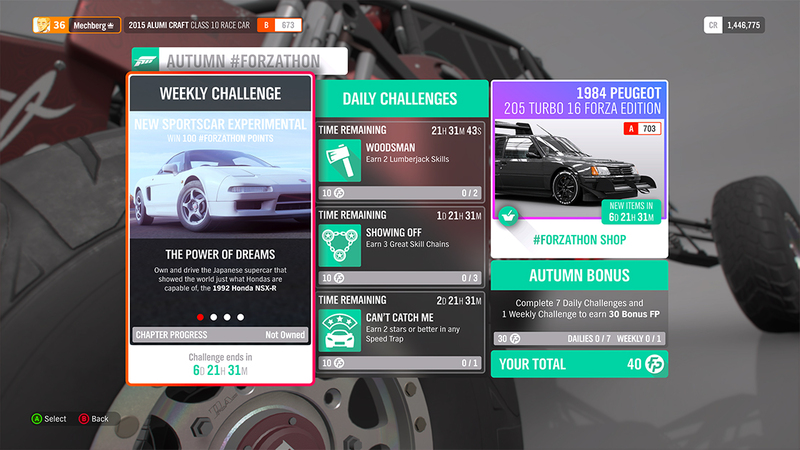 The October edition of Forza Monthly aired earlier this week, featuring a recap of all the Forza Horizon 4 launch at Goodwood, ForzaRC in Mexico City, and all the latest Forza Motorsport 7 news. We welcomed rally driver and Forza streaming host Verena Mei to the show to talk Forza Horizon 4, as well as her Friday show “#HeyWatchThis.” In addition we also spoke with Mellish about the past week’s ForzaRC action in Mexico City, and welcomed Chris Esaki and Aaron Brooks from Turn 10 back to the Forza Monthly couch to talk about the October update for the game. 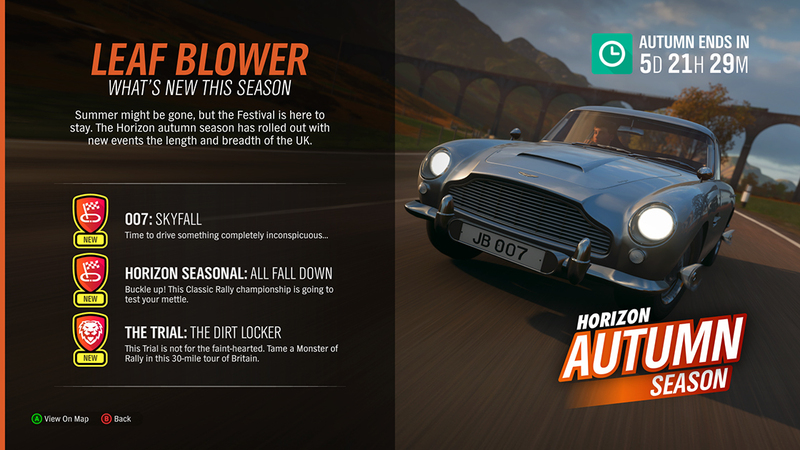 As of Thursday, Autumn has arrived in Forza Horizon 4! That means the trees are changing colors, the fall weather has arrived and, more importantly, new stuff has arrived in the game! New challenges are here, like the “007: Skyfall” challenge, as well as new cars for Car Pass owners in the 2002 Mazda RX-7 Spirit R Type-A and the 2018 Nissan Sentra NISMO. These Car Pass DLC cars unlock on Friday and, in addition to the DLC cars, Autumn brings with it new #Forzathon Shop items, including the gorgeous 2017 Ferrari 812 Superfast and the 1984 Peugeot 205 Turbo 16 Forza Edition. 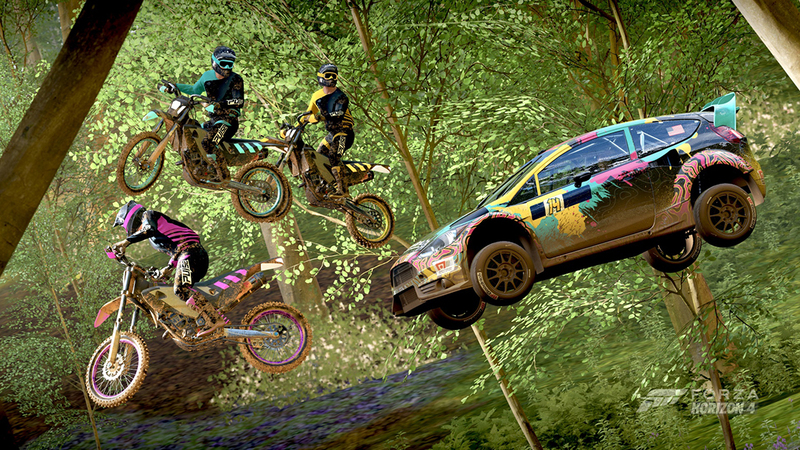 Before we wrap up the Week in Review, I wanted to add a quick note about accessing DLC cars in Forza Horizon 4. For DLC cars like the Formula D Car Pack, the Best of Bond Car Pack, and for weekly cars arriving as part of the FH4 Car Pass, players will need to individually grab each car and add it to their garage in order to drive them. One easy way to do that is to travel to one of your homes then access the “Autoshow” page. 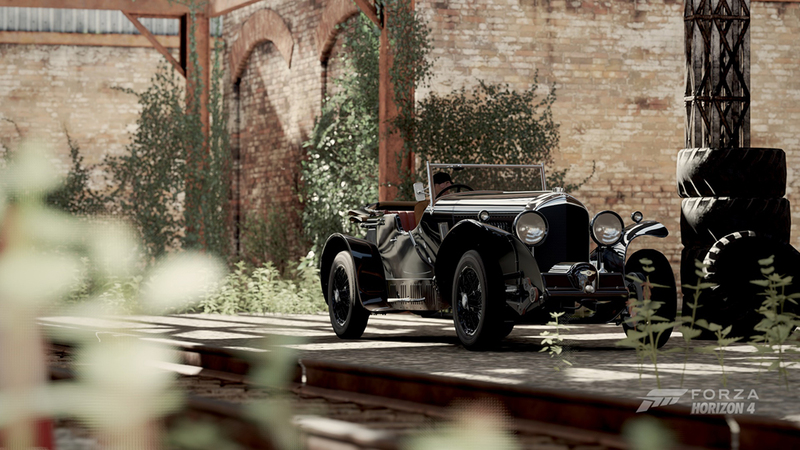 Look for the “DLC Cars” tab and select it. From there, you can select “View All Cars” and then individually choose the purchased cars you wish to add to your Horizon 4 garage. Well, if it were possible to be out of breath after typing such a huge Week in the Review, then consider me winded. The biggest week in Forza history may be behind us but we’re far from done. We’ll be recapping all this news and more – and, happily, playing Forza Horizon 4 and Forza Motorsport 7 with all of you – on today’s edition of #ForzaFriday. Feel free to join us over on Twitch and Mixer beginning at 3 p.m. Pacific, and let’s put a bow on this amazing week together. See you then!